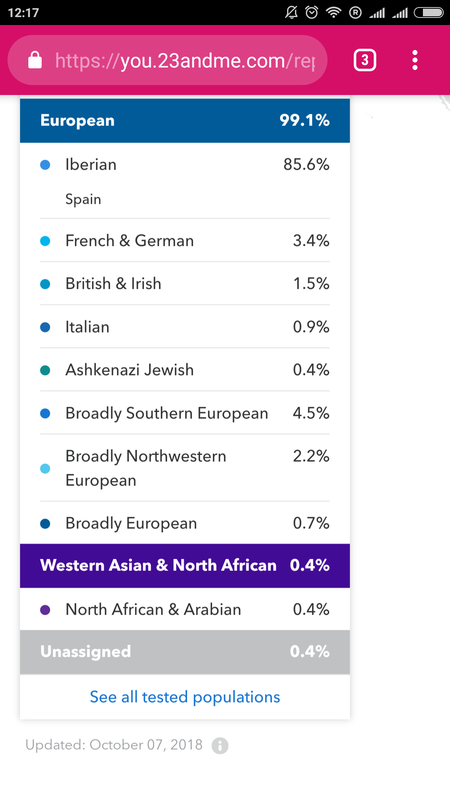 Eh, you got even more Iberian than I did (84.5%)! Less total South Euro though. Where are you from? This is exactly what I was looking for, thank you. I already tested on the V4 chip, and was deciding if buying the test again on V5 chip would be worth it. 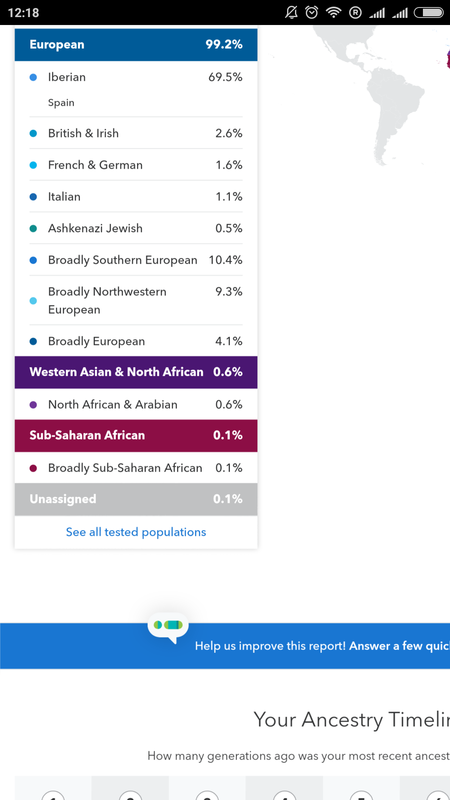 I wanted to see if there would be any differences when it comes to my ancestry, looks like only slight differences between V4 and V5. Guess I won't be buying the test again.